This entry was posted in "How-to", Basics and tagged defrosting, food safety, how-to, kitchen tips, thawing meat. Bookmark the permalink. I remove all packaging and giblets and place in a gallon Ziploc before freezing. That way it can go straight from the freezer to cooking if need be. It is best done in a crock pot this way but can be used for other cooking methods also. If you do thaw in the fridge it takes a lot less time because it does not have anything inside. This is smart! I wonder if it works for roasts? Cuz at least once a week I’m like no! Hahaha I did it again and forgot to defrost meat!! It does work for roasts too, but they will take longer because they don’t have that cavity, and are more dense as a result. 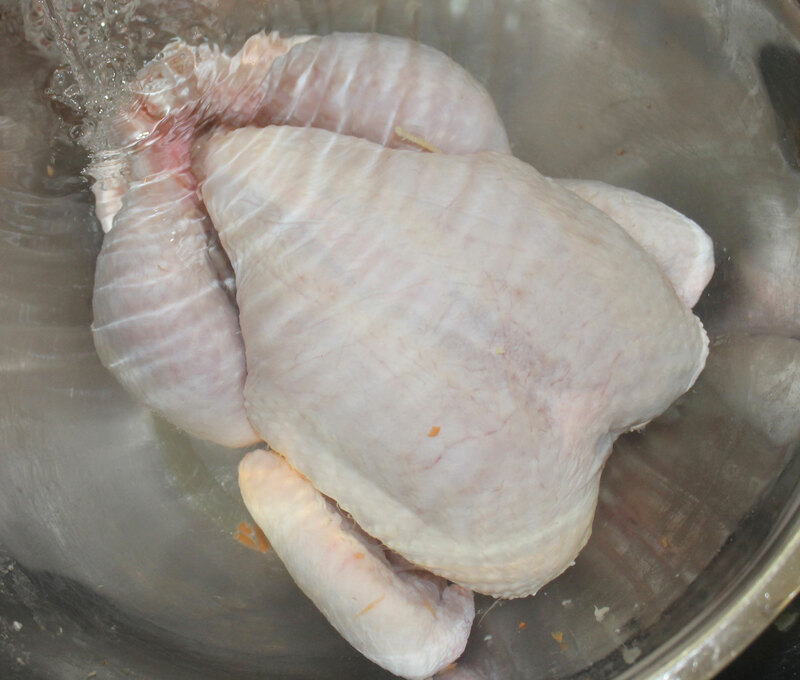 Defrosting chicken meat in the sink is the easiest way. However, it is very important not to forget putting your chicken meat inside of the Ziploc plastic bag before defrosting it in sink.